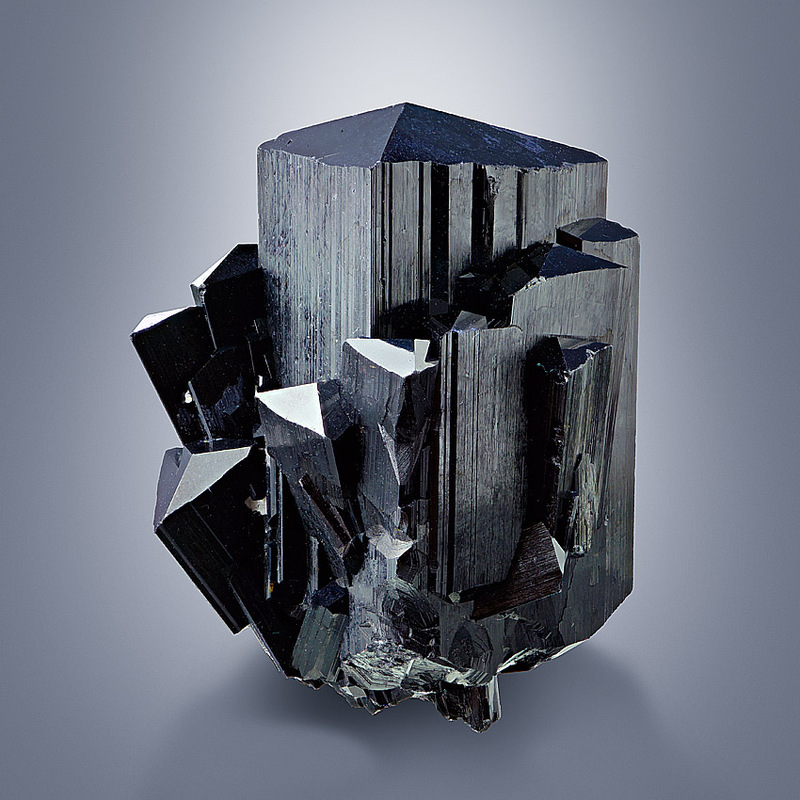 Brilliantly lustrous group of sharp edged schorl crystals up to 4.6 cm in length (main-crystal). Perfect an pristine schorl miniature with well-terminated schorl crystals complete all araound. The mirror-bright terminations show mostly the "Mercedes-Star" shape. 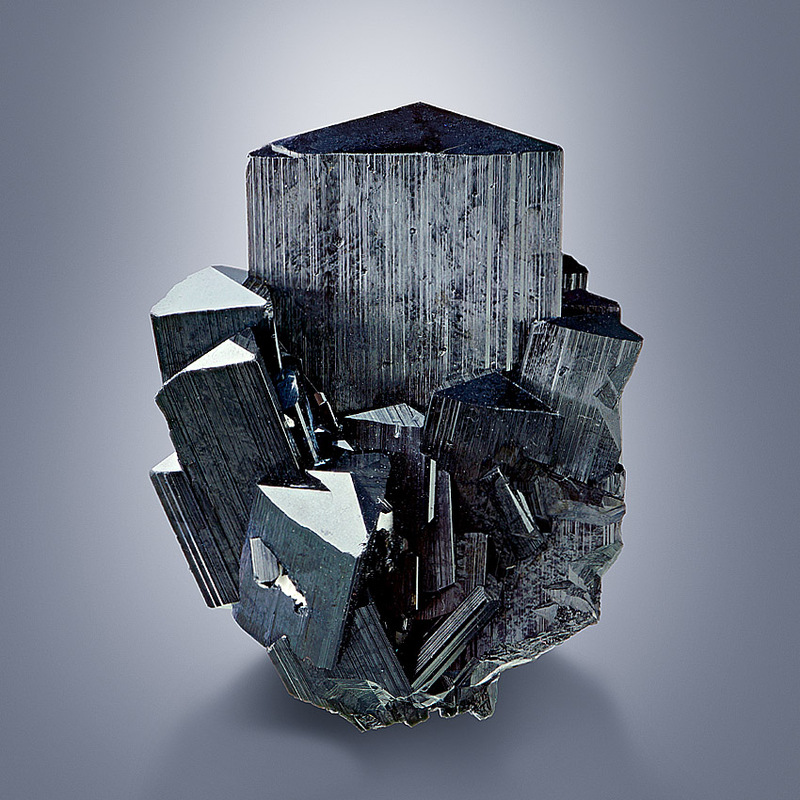 That really nice schorl specimen comes from the world-famous Davib East Farm Area, Karibib District, Erongo Region, Namibia.